BNP Paribas expects the price of crude oil to be broadly unchanged on-year through 2014, but with wild swings likely in mid-year as the Organization of the Petroleum Exporting Countries makes moves to balance the market in the face of U.S. supply growth. In its first forecasts for 2014, published Monday, BNP Paribas said it expects supply-demand challenges to balance each other out and financial conditions to become less supportive of any material move higher in the price of crude. 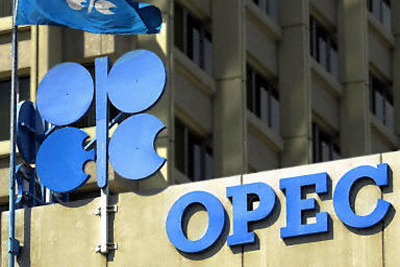 But as bottlenecks ease in the U.S., and the price-supportive environment afforded by a weak dollar and loose monetary policy reverse with economic improvement, OPEC is likely to respond with supply cuts in order to defend a price floor commensurate with the financial needs of its Gulf member states. BNP Paribas expects the price of a barrel of Nymex WTI crude to fall as low as $93 in the second quarter 2014 before recovering to $105 a barrel by year-end. The U.S. benchmark is likely to narrow the price gap with Brent, the bank said, and it expects the European marker to open 2014 at $114 a barrel and close it at $113 a barrel, dipping as low as $106 a barrel in the second quarter. For 2013, BNP Paribas cut its forecasts for both contracts. It now sees WTI averaging $97 a barrel in the first quarter of the year, some $8 a barrel lower than its previous projection, and expects the contract to average $104 a barrel in the fourth quarter, some $5 a barrel lower than previously thought. For Brent, BNP Paribas expects a price of $115 a barrel in the first quarter, some $5 a barrel lower than previous expectations. For the fourth quarter the bank also expects $115 a barrel, some $2 lower than previously.